With the raging wildfire season, an erupting volcano and ongoing floods, helicopter operators are responding to and preparing for the aftermath of severe natural disasters. As the intensity and number of wildfires pick up year over year in the U.S., first responders have a greater need for firefighting aircraft that can operate in all weather conditions and at high altitudes. 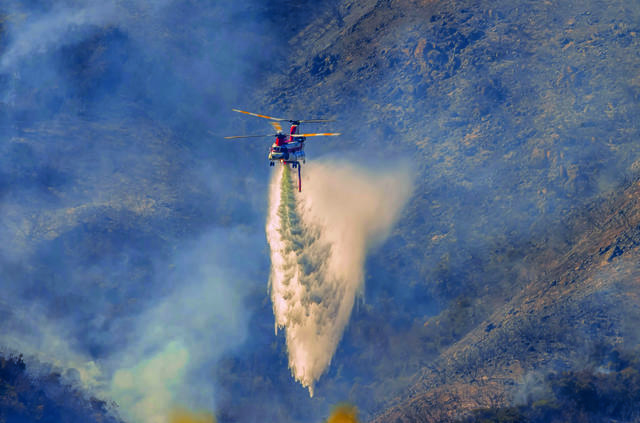 Rotorcraft often fit the bill better than fixed-wing aircraft since crews can fill up closer to fires, with more precise drops of retardants and water. 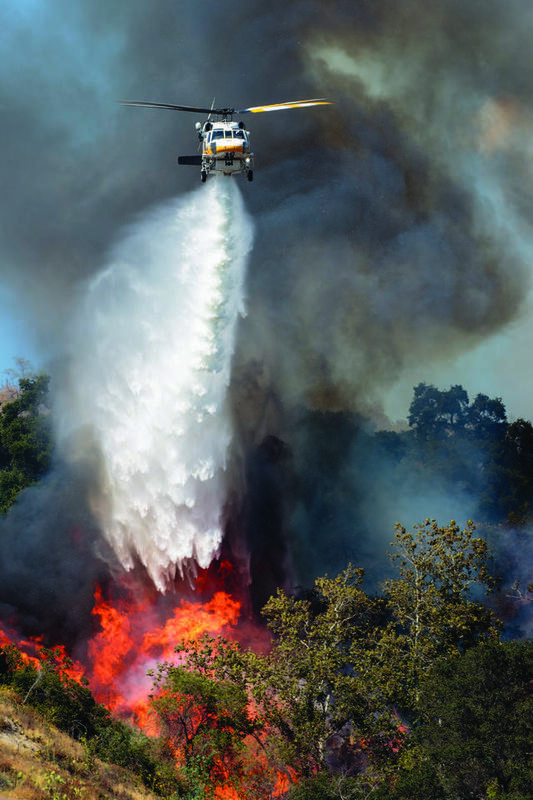 Aircraft manufacturers, researchers and first responders claim wildfires are best won with rotorcraft equipped with 1,000-gallon tanks paired with drones gathering data on fire characteristics. Manufacturers also continue to design and test upgrades to existing airframes that can shave time from lifts and drops. 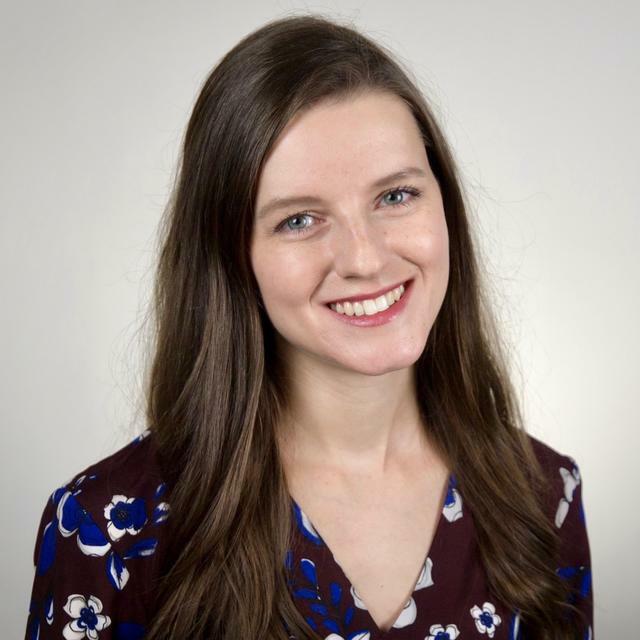 In 2018, the U.S. Forest Service expects to mobilize up to 200 helicopters, said Jennifer Jones, a spokeswoman with the Forest Service and Fire and National Interagency Fire Center. The firefighting fleet for the service includes 28 heavy, 34 medium and 43 light helicopters through exclusive-use contracts and 200 various helicopters available through call-when-needed contracts, like night-flying helicopters in southern California. Jones added that the Forest Service will also issue a request for information (RFI) for next-generation larger helicopters, or typically the type of aircraft that can carry 1,000 gallon or even larger tanks. The Forest Service and other federal, tribal, state and local government agencies collaboratively respond to more than 73,000 annual wildfires that burn about 7 million acres and more than 2,600 structures. Research and development in this market progress slowly, said Keith Saylor, director of commercial operations for Columbia Helicopters, which currently has three U.S. extended-use contracts with its -47D and BV234 aircraft, in addition to call-when-needed contracts. A recent critical upgrade to existing airframes is the addition of interior tanks, which lessen fuel burn, Saylor said. The tanks and their retractable snorkels that can fill a 1,000-gallon tank in one minute or less are expediting turnaround times, he added. Sikorsky’s modified Firehawk, a third-generation Black Hawk, also has a snorkel and 1,000-gallon tank. The Firehawk’s extended landing gear elevates the aircraft so that a tank with belly mounts can be attached. Storage drawers enable varied drop patterns for a longer coverage area or full-capacity water release. “Without this type of aircraft, we can’t drop the volume of water that allows us to get that early attack on a fire,” said Los Angeles County Fire Department Battalion Chief Pat Sprengel. In 2017, 9,000 wildfires burned a record 1.2 million acres in California, and Los Angeles County crews fought them with Firehawks in day and night operations. She added that the wide-chord rotor blades increase stall speed on the blade, which in turn increases speed (12 kt improvement in optimal range speed). The S-70i also has a reinforced airframe, digital cockpit and flight management system. “To justify budgets and provide citizens the best use of tax payers’ dollars, our customers require a proven, effective, multi-mission aircraft,” Eaton said. Safety through high maneuverability and control responsiveness, good tail rotor authority and plenty of available power are key to the Firehawk’s success. With new engines providing additional power, the S-70i enables firefighters to fly farther and faster and remain airborne longer. Recognizing the need for more rotorcraft airtime, Honeywell and Bell are also offering firefighting upgrades to operational aircraft. Richard Buchanan, Honeywell’s senior director of commercial helicopter business, said the new HTS900 engine powering the retrofitted Bell Eagle 407HP consumes less gas than its legacy engine, enabling more turnarounds. Bell has 120 rotorcraft flying in North America, said Anthony Moreland, the company’s managing director of the region, and expects its 525 Relentless fly-by-wire model, currently in flight testing, to enable first responders to carry up to 28,000 pounds in resources. Coordinating the flow of fire data collected by drones to helicopters can be managed by Honeywell’s SkyConnect Tracker series, the company said. SkyConnect manages air traffic control (ATC) for all aerial responders on the same fire, identifying each helicopter’s coordinates with digital mapping. A firefighting crew gains the advantage of having a more centralized ATC and a mobile ground control that can be positioned closer to fires. Honeywell’s Geofence technology creates a virtual perimeter around a geographic area. Once a perimeter has been mapped into the system, it alerts the user when overstepping a boundary. The tool provides a needed capability during night operations when boundaries and landmarks cannot be identified. Bell, in turn, is looking at retrofitting more aircraft with night-vision goggles. Bell’s training academy teaches operators how to use the goggles at night. “Cockpit lighting and exterior lights have to be adjusted for goggle use,” Moreland explained. Enabling more rotorcraft to operate at night is a priority for all helicopter manufacturers and some states. California is the first state to fight fires at night with rotorcraft. Ben Miller, director of the Center of Excellence for Advanced Technology for Aerial Firefighting within Colorado’s Division of Fire Prevention and Control, said he is looking at improving aerial situational awareness particularly during proposed nighttime operations in Colorado’s higher altitudes. The center is evaluating technologies to be used in tactical fire scenarios during initial attacks and night operations and when moving between nature and urban environments. Simulations require precise information on the size of the fire at any given time. From multi-mission aircraft, infrared data is used to identify new fires and collect info on existing ones. 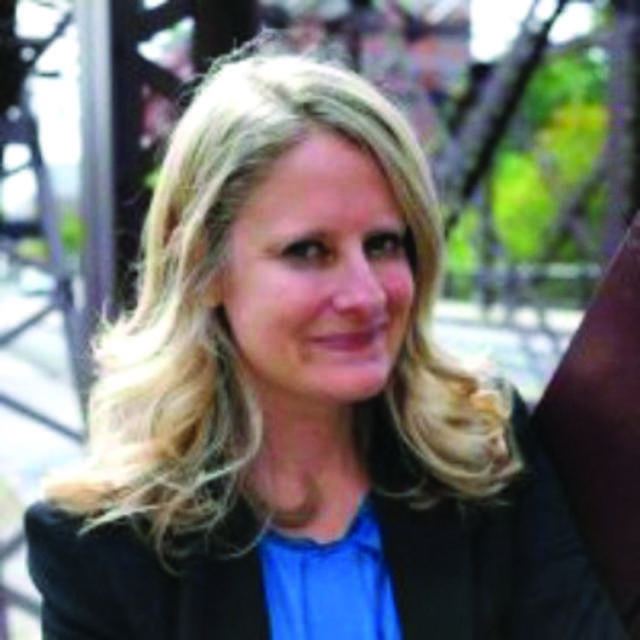 “Infrared technologies help determine fire sizes, shapes and locations and their evolution,” she added. Ensuring real-time communications between parties fighting fires is essential, manufacturers say. “The Forest Service also tracks the position of helicopters via a satellite link and provides them information on how fast and what direction we are going and how much is in the tank and where it’s been dispersed,” he said. 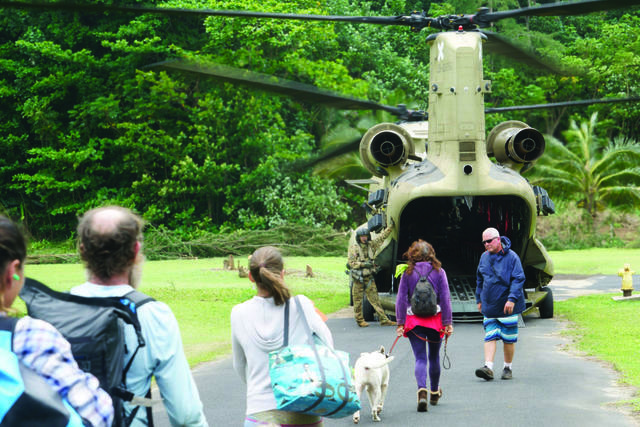 Hoisting a cow from the path of an unstoppable wall of molten rock was a first for Paradise Helicopters, one of several tour operators based on Hawaii’s Big Island and also one aiding in various relief efforts among an erupting volcano. It’s a double-edged sword for tour operators, whose customers come to see the volcano from the air. Though erupting lava is a novel treat, it’s dangerous to the aircraft flying over it. Still, operators like Paradise have been making the most of it while offering their services and charity to aid relief efforts. Through June 30, Paradise offered donations of $10 per seat on its booked tours originating from nearby Hilo International Airport, and $20 per seat from Kona International Airport on the other side of the island to support evacuees. The Kilauea volcano on the island has been erupting since 1983, but lava flowing since May 3 from its East Rift Zone has destroyed homes, roads and other infrastructure, prompting unprecedented evacuations ahead of the moving wall of molten rock. This compounded with earthquakes preceding the new eruption — causing roads to crack and destroying houses — put relief crews on the ground and in the air on high alert to rescue residents and wildlife from the lava flow’s path. An estimated 24 fissures are spewing lava from Kilauea, destroying homes and other structures before dumping into the ocean, according to the U.S. Geological Survey’s Hawaiian Volcano Observatory. Its latest report dated July 24 describes one fissure as active, with additional ones liable to open at any time. 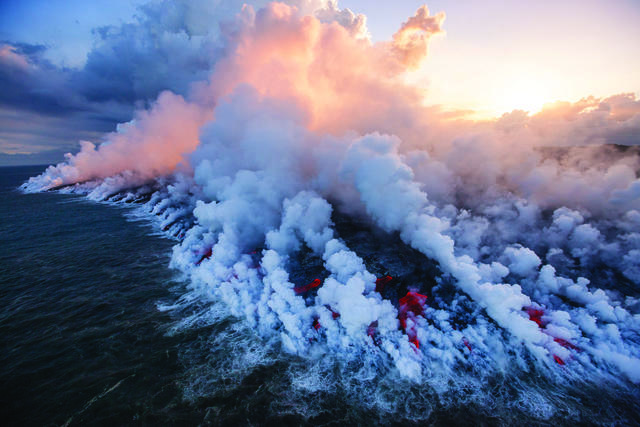 Passengers on a helicopter tour of the volcano are able see a lava geyser, a river of molten rock flowing toward the sea and the barren wasteland overtaken by the lava’s flow. Since May, the lava flow has already created an additional 700 acres of land, also visible from the aerial tours. The Hawaii County Civil Defense Agency reports more than 700 homes have been destroyed so far, with the eruption expected to last at least a couple more months. During the first two weeks of the eruption, personnel from the U.S. Air Force, Marine Corps, Army, Navy and both the Army and Air National Guard have participated in the response operation, according to Command Sgt. Maj. Elva Schaben of the Hawaii Army National Guard. About 380 Guardsmen have been activated for the disaster, and the Guard also sent Black Hawk helicopters from Oahu. The military personnel and assets will remain on call as needed. Due to the hazardous atmospheric conditions from the volcano, the FAA has implemented temporary flight restrictions for nonemergency aircraft, which have affected several of the region’s commercial helicopter operators whose bread and butter consist almost primarily of frequent sightseeing tours over the volcano. With these restrictions, the FAA allows flight at minimum 3,000 feet over the eruption’s site and at minimum 30,000 feet in a five-nm radius around a popular pit crater in the volcano. Paradise CEO Calvin Dorn told R&WI the company has been obtaining clearances into areas impacted by the flight restrictions to donate flights to evacuees so they can assess property damage. 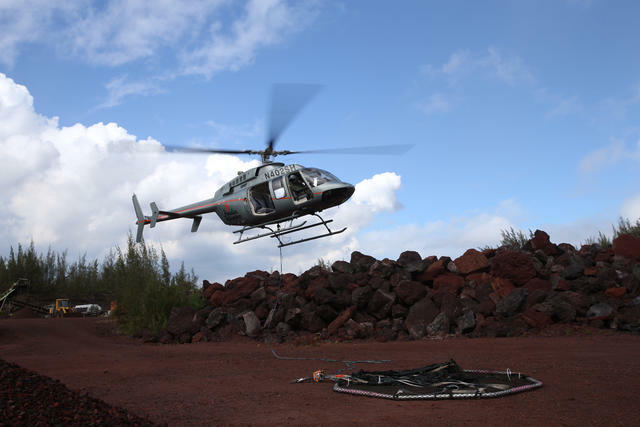 The operator, whose fleet comprises six MD500s, six Bell 407s and a Bell 430, has a wait list for this service and has shifted its business focus toward the area of the erupting volcano, moving more helicopters to be available to fly out of its Hilo location. Dorn also has flown photographer Bruce Omori out to the scenes to capture near-daily photographic updates of the volcano’s status to publish on a Paradise Helicopters-run blog. “Low cloud cover and gases precluded us from accessing the vent from the north, but the south side was open enough for us to get to get a peek between clouds,” the latest update dated July 23 read, alongside photos of lava flows at various points in their journey over the island. Paradise also recently took part in two rescue missions — one involving four cows and two sheep and another involving a rancher’s cattle, all of which were surrounded by lava flows and unable to evacuate via ground. Thanks to a temporary lift in the flight restrictions, a community volunteer enlisted the help of Dorn and a Paradise helicopter to transport the animals via airlift to a refuge area with volunteers continuing to care for the animals. Paradise is one among many in the community working to assist where and when it can. Dorn told R&WI this approach to relief is due to the close-knit relations on the island. “We have over 100 employees; we need to support them and their families,” he said. “We’re all a part of the community. The fact that we have helicopters and conduct business allows us to do some of these things." From Hurricane Sandy in 2012 to the devastation caused by the 2017 tropical storm season, large-scale weather events and their floods have heightened the need for rotorcraft rescue and relief. With the ability to land almost anywhere, or come to hover for victim assistance, helicopters do what no other vehicle can accomplish as effectively. “During flooding or other natural disasters, helicopters are the most efficient means of locating and rescuing victims, often from precarious locations like rooftops and other inaccessible areas,” said Dan Sweet, director of public relations and communications at Helicopter Association International (HAI), headquartered in Alexandria, Virginia. If landing isn’t possible, helicopter crews also conduct rescues by lowering hoists, slings and baskets to those needing assistance. Once the necessary rescues are complete, helicopters can bring food, water, medical supplies, shelter and other emergency supplies to those cut off from emergency services by flooded or blocked roads, Sweet said. In a disaster’s wake, helicopters are best suited to provide support, assist with cleanup by removing logs or other debris, and help restore the infrastructure in an area by reinstalling towers and lines for electricity, he said. Col. John Plunkett, Louisiana National Guard State Aviation Officer (SAO), said helicopters are the most versatile and effective rescue tools available to local and federal officials for flood relief. He knows firsthand that a helicopter’s responsiveness and innate flexibility make it the ideal tool for search and rescue (SAR) operations in Louisiana. During Hurricane Katrina, helicopters successfully executed more than 7,500 hoist rescues, according to helicopter consultant Lee Benson. Benson also cited a tsunami a few years back when U.S. Navy helicopters were able to save tens of thousands of lives because they could bring in clean water to the flooded areas. Flood relief is a unique process, and some rotorcraft are better suited at it than others. 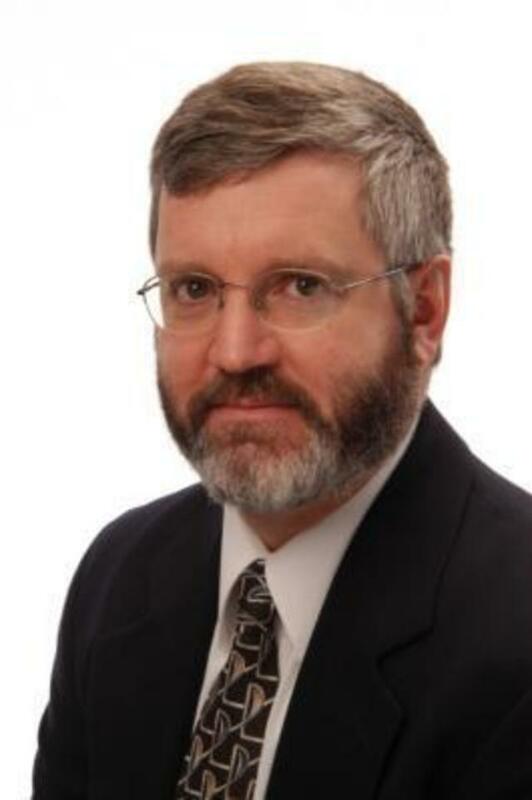 Keith Saylor, director of commercial operations at Columbia Helicopters in Aurora, Oregon, said heavy-lift helicopters such as Columbia’s 107-II Vertol, 234 Chinook and CH-47D Chinook are well-suited to perform many flood-relief functions. “[They] are capable of transporting people and carry greater weights of internal or external loads, up to 9,700 to 24,400 pounds,” he added. For two days in August 2016, Bristow Group supported urgent rescue efforts for Louisiana residents affected by historic flooding in the parishes around Livingston and East Baton Rouge. Bristow crews retrieved people from flooded homes, small boats, levees and high ground surrounded by flood waters using a variety of aircraft that included a Leonardo AW139 SAR variant, a Sikorsky S-76 C++ and a Bell 407, according to Rick Beery, S-92 SAR captain and lead pilot at Bristow’s Gulf of Mexico operations. Within the global SAR community, Bristow operates the AW139, AW189 and the heavy SAR S-92, said David D. Jacob, SAR operations manager of the Americas at Bristow Group. In the Gulf of Mexico, the company maintains the largest standalone SAR facility in the lower 48 states in Galliano, Louisiana. Col. Ray Davis is chief of the National Guard Bureau Aviation & Safety Division. Every year the Army Reserve/National Guard (ARNG) flies thousands of hours saving lives and reducing suffering that result from emergencies. 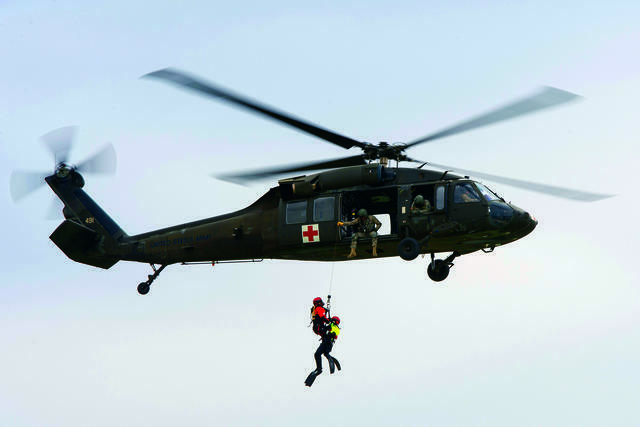 The ARNG primarily uses the UH-60 Black Hawk, CH-47 Chinook and UH-72 Lakota for flood rescue work, he said. HAI’s Sweet said asking what aircraft is best for flood response is like asking what’s the best car to buy for general driving conditions. Sweet said all of the U.S. military services have helicopter fleets ideal for responding to floods and related humanitarian disasters. The U.S. Coast Guard has the Sikorsky HH/MH-60 J/T Jayhawks and the Airbus Helicopter MH-65 Dauphin. The U.S. Army operates the widest variety of rotorcraft, using the Sikorsky UH/MH-60 Black Hawk with great success, as well as the Bell UH-1N Huey and the Boeing CH-47 Chinook. The U.S. Navy conducts operations with the Sikorsky HH-60 Rescue Hawk, the Sikorsky S/MH-60 Seahawk, the Sikorsky MH-53E Sea Dragon and the Bell Boeing CVM-22 Osprey. Alongside the U.S. Marine Corps, which flies the Bell Boeing MV-22B Osprey, as well as the Bell UH-1Y Huey and the Sikorsky MH-53E Super Stallion helicopters. The U.S. Air Force operates Sikorsky HH-60 Pave Hawks and the UH-1N Huey. The industry is improving flood relief rotorcraft effectiveness and operational efficiency by working with manufacturers to provide rescue equipment. Plunkett said his flood response missions benefit from data downlink capabilities that provide a real-time picture of affected areas from the aircraft to ground-base units. Forward looking infrared cameras (FLIR) improve the ability to locate personnel during SAR operations, particularly in low-light situations. Night-vision goggles further increase the effectiveness of our SAR operations, he said. Bristow’s Beery said relatively recent rotorcraft systems improvements and disaster response equipment include dual navigation systems, enhanced search radar, improved instrument approach capability, coupled SAR approach/hover capability, FLIR, better lighting for night operations, dual hoist capability, a full range of medical support equipment, self-contained water pumps, confined space and other technical rescue equipment. Col. Davis said the communications and information transmission systems developed for military aircraft allow for interoperability with local /civil support authorities. Benson cited rotorcraft operators’ ability to see flood victims at night via heat sources and also big, tactical moving maps to be an important help in flood relief.